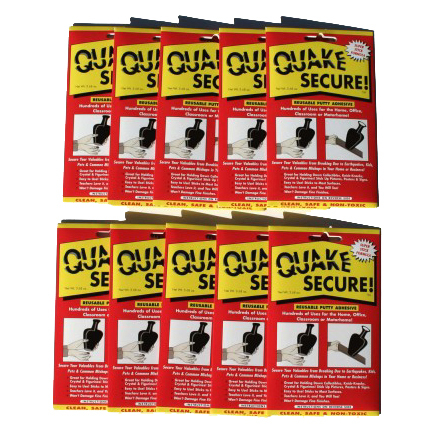 Quake Secure is an incredible putty that holds objects down tightly (like collectibles) or sticks things up (like pictures). 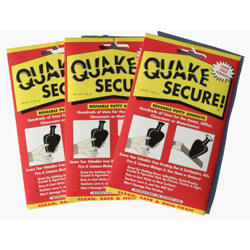 You can use it to keep things in place so they won't fall and break during an earthquake. You can also use it to hold up pictures, posters and signs instead of using pushpins, tacks or tape. 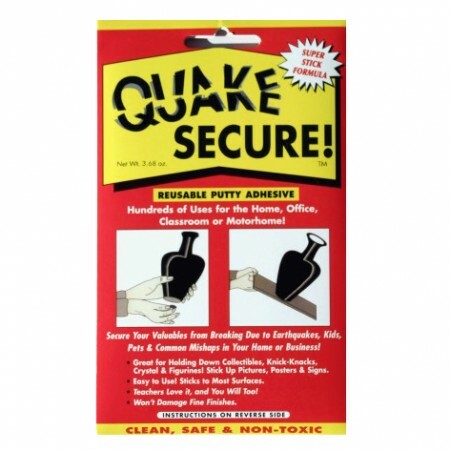 Quake Secure is non-toxic, clean and safe for children's use. It lasts 10 years and it is reusable. 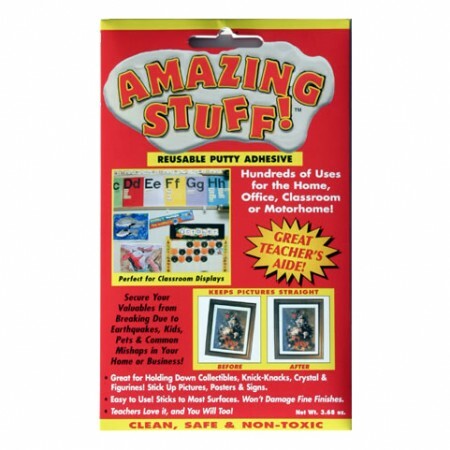 It does not remove paint, is safe for fine finishes and it is easily removed when needed. Our super stick formula is very pliable and it holds it's sticky properties for a long time. 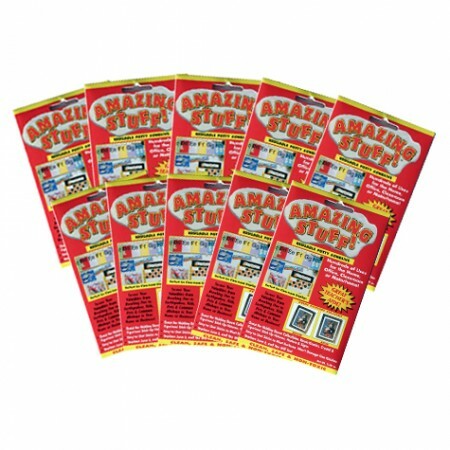 It is an essential aid for Teachers, Collectors, RV Owners, Homeowners, Business Owners and Photographers. Select this item when ordering 10 or more packages.